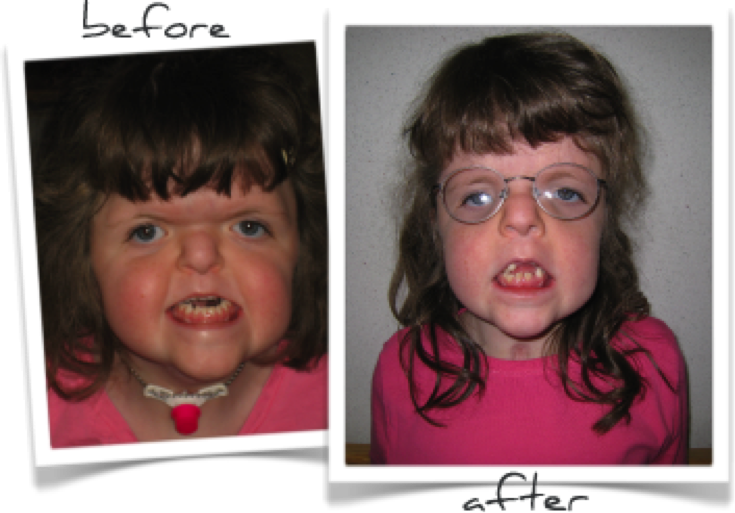 In our before and after page, you will see the different types of craniofacial abnormalities. 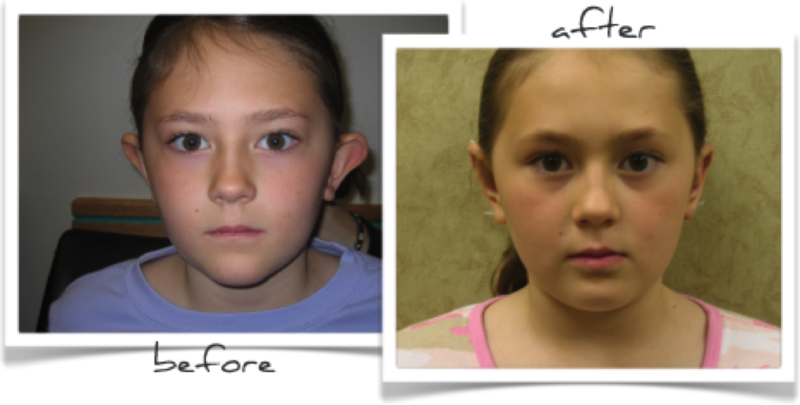 You will see how effective treatment will change a child’s face and improve their condition as they age. When you support research, you not only improve skills, knowledge, and forms of treatment, you also help improve a child’s quality of life. 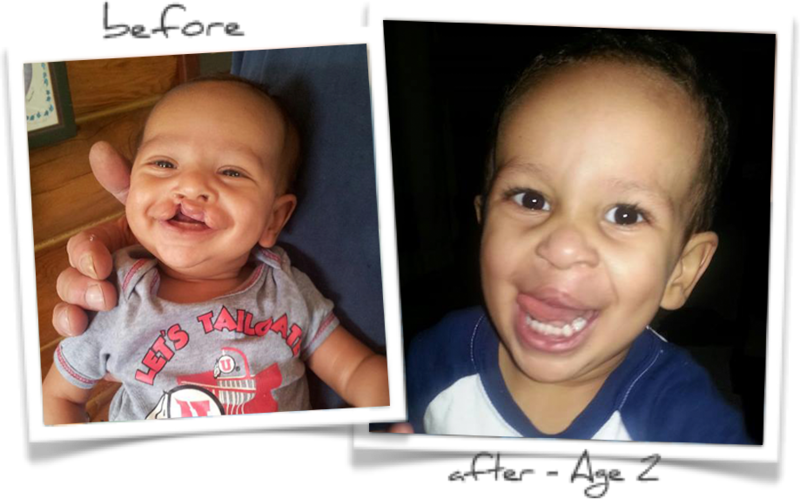 Jaxson was born with a bilateral cleft lip and palate. He initially came to see us in our Provo clinic. After making sure he was gaining weight with the appropriate bottle feeding regimen, he underwent repair at three months of age at Primary Children’s. His smile is complete and he shows it off well. 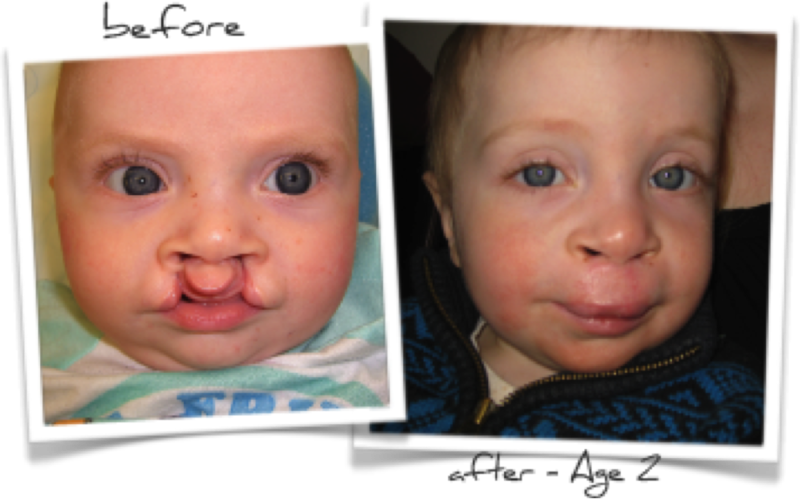 Dustin was born with a unilateral cleft lip, which is a fairly common diagnosis. After molding and just one surgery, the transformation was complete. Dustin is moving on and living a normal life. Look how cute his smile is now! Maiya was born with Pierre Robin Syndrome (small recessed jaw) and initially needed a ventilator to breath. 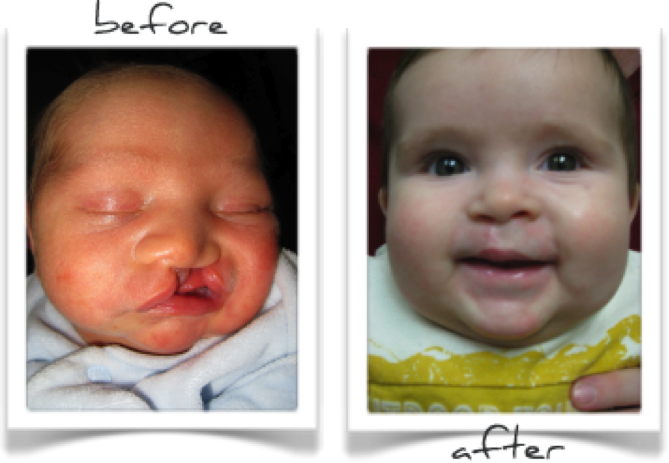 At nine days old, she underwent successful jaw advancement surgery by distraction. Within one week, her airway was opened which allowed the removal of the ventilator and avoided a tracheostomy (a breathing tube which is traditionally placed for three to four years). At one year old, she is a happy, healthy girl with normal jaw position and continues to breathe all on her own! Meet Courtney, who has Apert Syndrome. She lived with a breathing tube and all of her fingers and toes fused together! After releasing her fingers and toes, a Lefort III procedure was performed, moving her entire face forward, in order to improve her appearance and eliminate the breathing tube. This cute little boy was born with a fused growth plate in his skull. As a result he has a triangular shape to his skull. At seven months, he underwent surgery to reshape his skull. This was a one-time surgery, requiring no post-operative helmet therapy. He spent three days in the hospital and recovered in only three weeks! We take pride in shaving as little as possible of our patient’s hair. Although most children come to us as infants or very young children, unfortunately, sometimes diagnoses when children are young can be missed. In Olivia’s case, she didn’t receive treatment until she was 12 years of age. She had both a severe deformity of her skull and developmental delay. After two large reconstructive surgeries, she now likes to show off her look by wearing a ponytail and smiling as she catches up in school. Meet Abygal, who was born with right-sided Coronal Synostosis (skull fusion). This caused her forehead and eye to appear depressed on her right side. At six months of age, she underwent a skull reconstruction to move her forehead and eye forward. She did not require any helmet or molding devices as part of her recovery. Ila presented to the emergency room with a protruding and painful left eye, headaches and changes in vision. After a CT scan, we discovered that she had a large tumor pushing on her eye. With removal and reconstruction of her skull and eye, her symptoms resolved. At six months post surgery, her eye position and vision are normal with no visible scars. This little girl was being made fun of at school. In a short surgery, her ears were made less prominent. Although she’s not smiling in her ‘after’ picture, she says she is happy and no longer being teased at school. This condition is fairly common. The usual course of action is to wait and watch, and the hemangioma will usually regress naturally. At times, medicine or surgical intervention is needed. 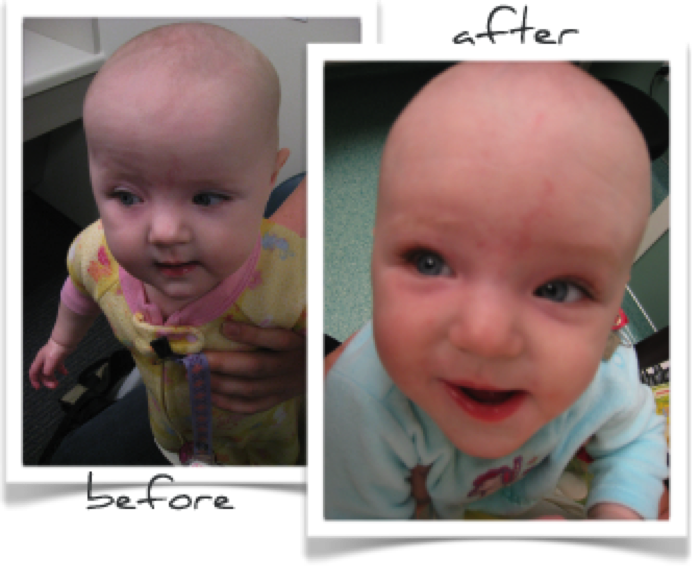 This little girl’s hemangioma was surgically removed because it was near her eye and could have affected her vision. She is seeing and smiling just fine now!